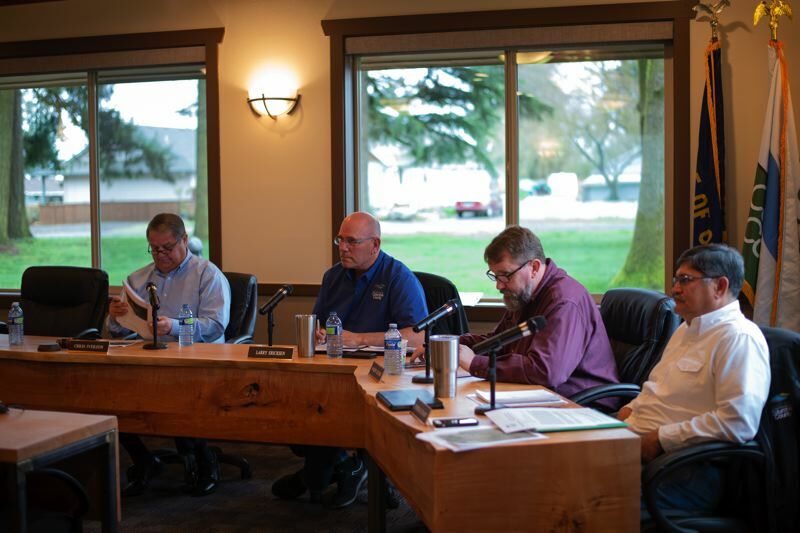 The Port of Columbia County commissioners delayed a vote on resolutions to increase moorage and parking fees for seniors at the Scappoose Bay Marine Park. The votes are postponed until the Marina Advisory Committee can meet to discuss the proposal, but commissioners also want more information. The resolutions, 2019-18 and 2019-19, would increase annual moorage and parking fees by 3.05%, in line with the consumer price index. The fee increases would only amount to a few dollars for annual passes, and senior prices would still be a significant discount. Under the proposed pricing, an annual launch permit would be $89 for the general public and $53 for seniors and qualified military. At the port's board meeting on April 10, Commissioner Larry Ericksen said even a 3.05% increase could be too much for seniors living on fixed incomes. "I have to vote against that," said Ericksen. "These people, a lot of them are on fixed incomes. They don't care about the CPI. It doesn't matter to them. I just think it's kind of tough on them." Commissioners will vote on the increase at the next meeting. Board President Chris Iverson has requested data on how many senior permits are sold annually. want to see what the impact would be to the port," Iverson said at the port's April 11 meeting. "I've talked to quite a few of those guys out of there and some of them are disabled and have a tough time, and like [Ericksen] said, they're on a fixed income," Iverson added. Commissioners also discussed finding new ways to improve access, particularly affordability, for seniors and veterans. Updated April 16 to specify that the price for annual passes would increase under the proposal. Daily moorage and parking fees would not increase.